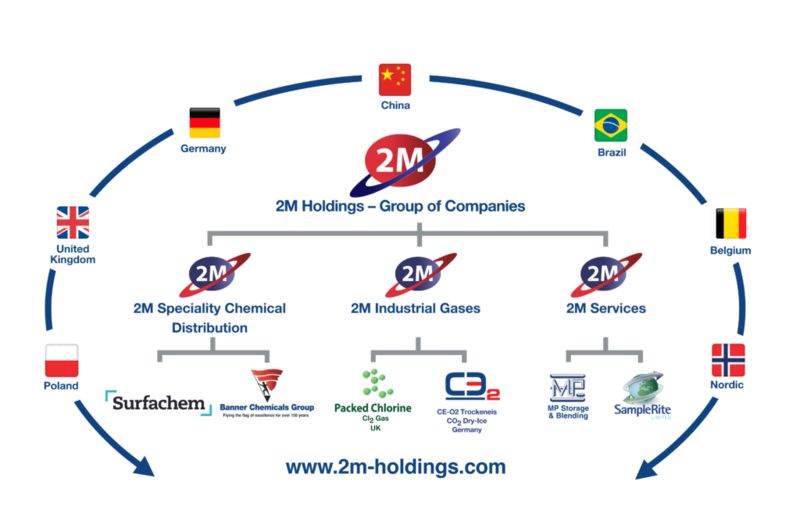 2M Holdings was founded by Mottie Kessler MBE in 2004, the present Chairman and CEO, with a long term objective to grow an international chemicals distribution portfolio based on excellent companies with strong brands. 2M Group of Companies includes a portfolio of branded companies of chemical distribution and related chemical services of samples management, storage and blending. China, Benelux, Ireland, Poland, Scandinavia, Brazil and the UK. The group exports to customers in over 90 countries. AdBlue™, SamSol™ Products, PACKED CHLORINE™ (cylinders and drums), TRIKLONE™, PERKLONE™ & MEC™ Prime (Chlorinated Solvents).